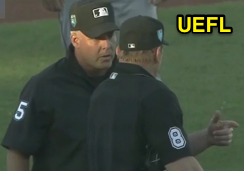 Umpires reversed an erroneous force out call during an infield fly rule play in Grapefruit League action, scoring a run that had seemingly been nullified just moments earlier. 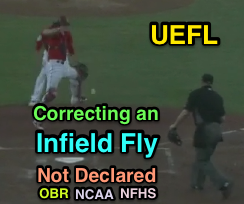 By now, we know what the infield fly rule is and how to communicate when a potential IFR situation occurs, but what happens if an umpire or entire crew forgets to call "infield fly" when it occurs? Is the batter still out or are runners forced to advance—and what happens if a fielder attempts to force out a baserunner or a time play occurs at home, as was the case in Florida? Related Post: Infield Fly and a Double Play - Back to Basics for Phillies (4/11/16). Related Post: Knowing the Situation - Infield Flies and Time Plays (9/15/17). Mechanics confusion reigned in Florida. So now that we know what should happen during an infield fly play, it's time to explore what happens when things go awry, including rules differences amongst the NFHS, NCAA, and OBR codes. 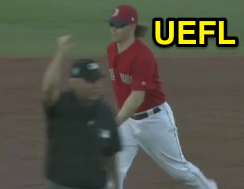 Perhaps true to the Spring Training moniker, umpire Jeff Kellogg's crew encountered an infield fly situation over the weekend that took an odd turn when the plate umpire forewent an infield fly signal as a fly ball dropped untouched on the infield with the bases loaded. The Play (Annotated with the infield fly criteria): With one out and the bases loaded, Twins batter Byron Buxton swung and hit a fair fly ball in front of home plate, where Red Sox catcher Blake Swihart, in what should have been a routine catch, bobbled and dropped the batted ball. Pitcher Rick Porcello picked up the loose ball, tagged home plate, and thew to second baseman Brock Holt, who tagged Twins baserunner R2 Bobby Wilson between second and third base. Sidebar, in case you were wondering: the infield fly rule takes precedence over the intentional drop rule; this is due, in part, to the fact that an infield fly is declared before the ball reaches the fielder [i.e., before the fielder has a chance to intentionally drop it]. Related Post: Phillips' DP Attempt Reversed by Intentional Drop Rule (9/19/17). The Call: Confounding the issue, while 2B Umpire Tim Timmons properly signaled the infield fly (batter out), plate umpire Kellogg signaled baserunner R3 out upon F1 Porcello's tag of home plate; no call was immediately made when F4 Holt tagged R2 Wilson (who appeared to have given up as a result of observing both B1 and R3 being declared out for outs #2 and #3), as Timmons' back was to the tag. This produced a logically impossible double play: Once the batter (or any trailing baserunner) is declared out, the force on any preceding baserunner is removed; R3 should not have been declared out via force at home. 2B Umpire Tim Timmons calls Buxton out. If the umpires consult after a play and change a call that had been made, then they have the authority to take all steps that they may deem necessary, in their discretion, to eliminate the results and consequences of the earlier call that they are reversing, including placing runners where they think those runners would have been after the play, had the ultimate call been made as the initial call, disregarding interference or obstruction that may have occurred on the play; failures of runners to tag up based upon the initial call on the field; runners passing other runners or missing bases; etc., all in the discretion of the umpires. Kellogg spots the error and convenes his crew. To be crystal clear, the "call that they are reversing" in this situation was Kellogg's force out call of Aybar at home plate; no other call was reversed. Timmons' earlier infield fly call was not modified in any way. If the crew believed that, had Kellogg made the correct call in real-time (which would have been a no-call on R3 at home), Aybar would have scored, then the solution to "eliminate the results and consequences of the earlier call that they are reversing" is to score the run, whether or not Aybar physically touched home plate prior to F4 Holt's tag of R2 Wilson (since, again, Aybar technically did not exist as R3 after the phantom force, and F4 Holt's tag of R2 Wilson was superfluous [and a fourth out in its own right]). Gil's Call: There are probably three realistic options for this play, all of which involve declaring the batter out pursuant to the infield fly rule, as declared by Timmons in real-time. The first option is what Kellogg's crew decided to do: B1 out, R3 scores, R2 out. The second is the same as the first, except that R3's run does not count. The third essentially "kills" the play at the moment of error: B1 out, R1 to 1st, R2 to 2nd, and R3 to 3rd (this approach is rather similar to an NCAA procedure for changing "no catch" to "catch" [see below]). However, because of Rule 8.02(c)'s requirement to place runners "where [the umpires] think those runners would have been after the play, had the ultimate call been made as the initial call," options #1 or #2 are likely most reasonable. There stands a good chance that R1 Granite would have attempted to advance to second base even without Kellogg's call at home, meaning that R2 Wilson would have been hung out to dry regardless of the incorrect initial call. Which solution is "more correct?" That's for the umpires on the field to decide, likely taking into consideration Aybar's speed for a mental time play calculation. > QOC Consideration: Pursuant to precedent established in Dale Scott's 2012 ejection of Padres Manager Bud Black for arguing an inadvertent "time" mechanic-turned triple play, QOC here is likely incorrect. Related Post: Ejections: Dale Scott (1) (4/15/12). Rules Difference: The aforementioned is the pro (OBR) rule, but what of NCAA college or NFHS high school? NCAA: The college book doesn't directly address the case of a changed infield fly, but does include a section called "Appendix E: Getting the Call Right." Similarly, this portion of the rules book does not specifically address bungled infield fly plays (though it does specifically state what must happen when a call of "catch" is changed to "no catch" [dead ball, batter awarded first, baserunners awarded one base from time-of-pitch] and "no catch" to "catch" [dead ball, batter out, baserunners returned to bases occupied at time-of-pitch], both on balls hit into the outfield or any foul ball [or, if an infield-bound "no catch" call is changed to a "catch," when that decision would result in the third out or no runners are on base]). In high school, teams must know the situation. There exists a note within Appendix E which states, "The Crew Chief and crew should be conservative on their placement of base runners," and, additionally, "Some calls cannot be reversed without creating larger problems." Nonetheless, Part D of Appendix E states, "Both NCAA philosophy and umpire integrity – consistent with NCAA rules – dictate that calls are reversed in this situation [when the umpire's initial decision is clearly erroneous]." Judgment calls exempted from reversal include tag plays when the fielder clearly holds on to the ball (e.g., stolen base attempts), force plays (when the ball isn't dropped and the foot not pulled), and pitch location ball/strike calls. The Porcello/Buxton/Aybar play is not, however, a judgment call; it is a rules application issue that should be addressed. NFHS: The high school case book states that players and teams are responsible for knowing when an infield fly situation exists, even when the umpire erroneously forgets to call "infield fly" or calls it at an inappropriate time ("both teams have the responsibility to know when conditions exist for an infield fly" 10.2.3 Situations F & G). 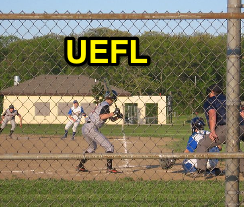 High school explicitly requires a batter erroneously declared out to attempt to reach base safely in order to be awarded the base after the play. By that token, NFHS would likely score Aybar's run based on the crew chief's duty to "rectify any situation in which an umpire's decision that was reversed has placed either team at a disadvantage," since the teams were responsible for knowing the infield fly situation. In the end, perhaps this is a situation in which the umpires legitimately do not know whether Aybar beat the third out (due to, again, the erroneous force play for the premature third out at home plate), in which case, a healthy dose of game management will be most vital.